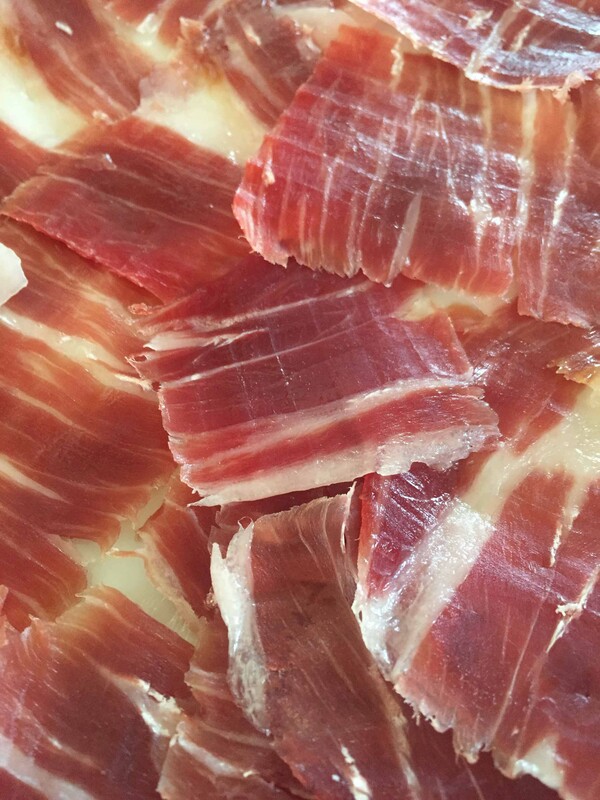 Discover the world of Iberian ham, considered a gourmet jewel. Spain has 4 Denominations of Origin (DO) and know first hand, 3 of them, to learn about the truth of the authentic Iberian ham fed with acorns, how to differentiate it from the rest, and know all its meticulous process of elaboration, from the essential food of the iberic race pigs in the meadow until the drying process for years …. Learn much about the local gastronomy, tasting the best ham, cheese and wine, which, as well as typical regional dishes. During this tour we will visit big cities, some Arabs, others medieval or Roman declared World Heritage, and you will enjoy a wonderful landscape of extensive meadows of oaks and typical white Andalusian villages with a lot of charm. All this, with the help of people who are proud of their land and their culture, who artistically work their products and their lands, to offer you the best, with your dedication, kindness and smile. Activities: tapas tour, visit to cheese factory with workshop to make your own cheese and tasting. 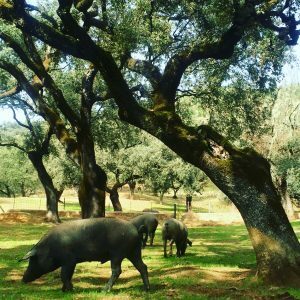 Visits to iberian ham dryers with tasting and visits to the “Dehesas” pasture, visits to cellars/wineries with wine tasting..
12:00 Pick up at the airport or train station of Seville. Our guide will welcome you and will take you on a magica l tour through the center of Seville, during which you can not only admire the beautiful cathedral, the Giralda and the Alcázar and know its history and legends, but also enjoy a walking tapas tour by bars with much solera where you will taste exquisite Andalusian dishes. Departure to Aracena (approx 1h 15m). Visit to the grotto of wonders. Many millions of years, no less, for the marbles to emerge and take such peculiar forms. 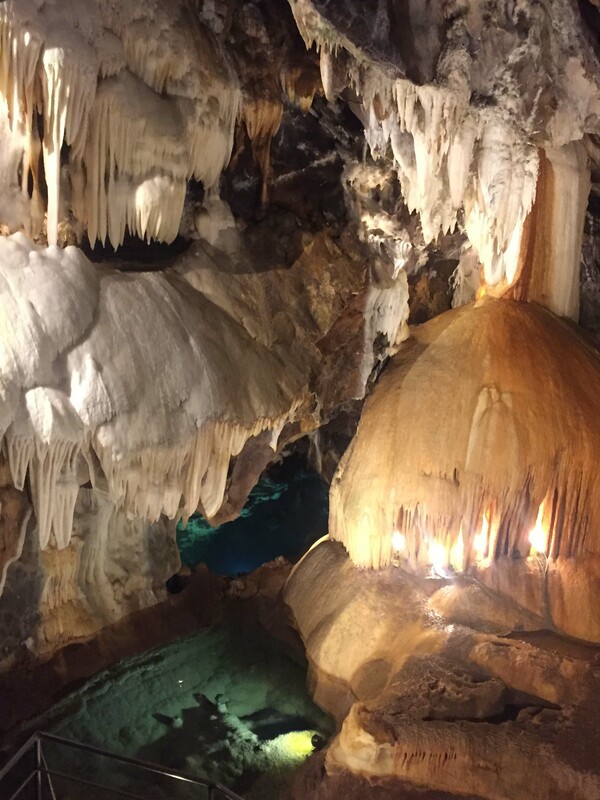 Strolling through this grotto is like stepping into a time tunnel ….. just wonderful. Check in at hotel with charm. Free time. 10: 00- 13:30 Today we will enjoy a great gourmet day. During the morning, we will visit an ecological cheese farm, where you will learn about the production process, make your own cheese and taste 6 different types of cheese with wine. 14: 00-17: 00 Visit to Iberian ham dry shelter of the D.O. Of Huelva (short of Jabugo), great tasting, we will see the process of elaboration and we will visit the pasture where they raise the Iberian pigs in freedom. Trip to Zafra (1 h.) 18:15 Visit to a prestigious winery. Tasting of their wines. 10: 00- 11:30 Visit to the 2nd Iberian ham dryer D.O Extremadura with tasting. Trip to the spectacular natural park of Cornalvo (approx. 1h) For a visit to deer and black merino sheep. An unforgettable experience of the hand of its owners, which will end with a meal in typical Andalusian cortijo or restaurant in Merida of the same owner (according to group size). 16:00 -18: 30 We will visit Mérida, an impressive Roman archaeological site declared a World Heritage Site by Unesco. 19:30 Check in at hotel with charm. Free time. 9:30 Departure to Guijuelo (1h and a half). 11: 00-14: 00 Visit to 3rd Iberian ham Dry shelter D.O Guijuelo with great tasting (lunch ). 17:30 Transfer to cellar on the banks of the river Douro. Visit with tasting. 19:00 Return to Salamanca. Check in. Free time. We continue our trip to Segovia. Guided tour of the old town and Roman aqueduct ( World Heritage Site). In addition to the famous Aqueduct, a multitude of Romanesque churches, Cathedral and Alcázar compose a majestic landscape that dominates these Castilian lands. Lucnh today will be based on the typical roasted suckling pig dish cooked in huge stone ovens. Return to Madrid. End of our services. Private transport in comfort bus during the entire itinerary (Sevilla-Madrid). Tourleader / guide accompanying the entire route. 4 nights accommodation with breakfast buffet, in the selected charming hotels and 3 and 4 * downtown in a standard double room. 5 meals including a bottle of wine for every two people and water, except for the first meal on a tapas tour that can be chosen from beer, wine or soft drinks. – Visit to Seville with tapas tour. – Visit to grotto of wonders. – Visit to Merida with tickets to Theater and Amphitheater. – Visit to Salamanca with tickets to University and Cathedral. – Visit to Segovia with tickets to the Cathedral and Alcázar. – Iberian ham dry shelter D.O. Jabugo with visit to meadow. – Iberian ham dry shelter D.O Extremadura dryer with visit to the farm. 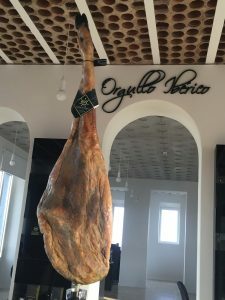 – Iberian Iberian ham dry shelter D.O. Guijuelo. – Cheese farm Aracena and cheese making workshop.